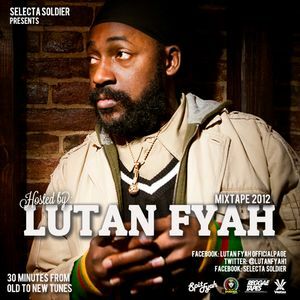 Lutan Fyah on FYAH! Bring it to the SF bay again and again! We will always be there to support you! Thanks for the download, takin it to Kenya tomorrow BLASTING IT ON THE NORTHERN COASTAL ISLANDS THERE!!! You gonna be heard high tide and low! ....I just cant rule any song out...all the songs are as sweet as honey...we in Ghana will continue to support Lutan fyah...Music is your talent so you do it from your heart...respect man and may Jah continue to catapult you from strength to strength...one love.